How to install Ali Reviews Chrome Extension? 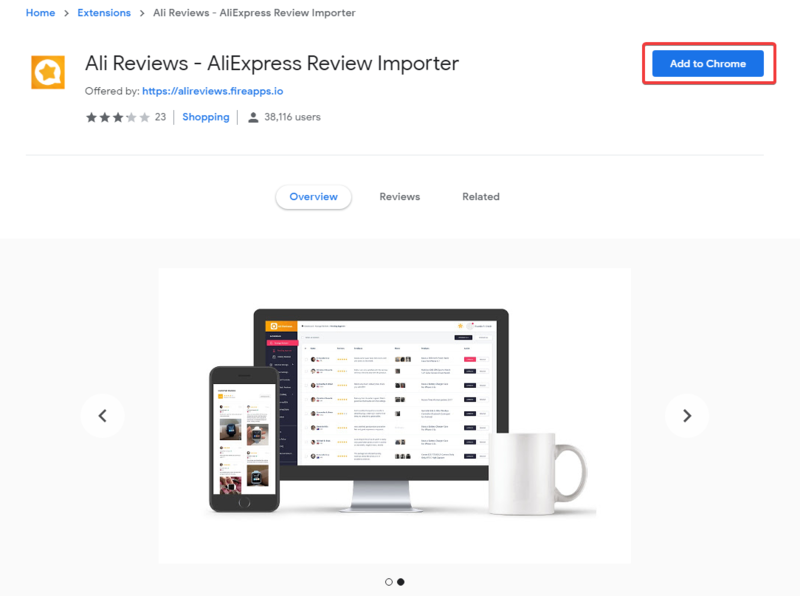 Ali Reviews app uses the extension to import reviews from AliExpress. Please install the extension in order to work efficiently. NOTE: Ali Reviews Chrome Extension works only on the Google Chrome browser and only on the computer. It doesn’t work on a tablet or mobile phone.